Honduras, although not the most popular of Central America’s countries, is an absolute diamond in the rough. Its fantastic culture, history and world-class natural beauty stunts visitors from all over the world. Its beaches, wildlife reserves and Maya ruins are second to non, and the vibrant traditions of the native people will truly dazzle you. Avid snorkelers and beach bums alike will fall in love with the Bay Islands, while the foodies amongst you will thoroughly enjoy the fusions of flavours in Honduran cuisine. Honduras has warm and fairly dry weather all year round, and each season brings with it new and exciting possibilities. There’s truly something for everyone in this magical country, and we’ll tell you all about it in this Insider’s guide to Honduras. Roatán, the largest of the Bay Islands, was once a secret gem of Honduras. But thanks to the many curious tourists and cruise companies, it’s now one of the most popular vacation spots in the country. Its beaches are everything you would expect from a tropical paradise; white sands, glittering turquoise water and swaying palm trees. Roatán’s shores are also lined with flourishing coral reefs, that are teeming with vibrant sea life. Many people flock to this island for its amazing snorkel, diving and deep-sea fishing opportunities. Copán was home to one of the most important Maya civilisations that ever lived. They thrived in this beautiful area from 250 – 900 AD, and built some remarkable structures, sculptures and even hieroglyphics. 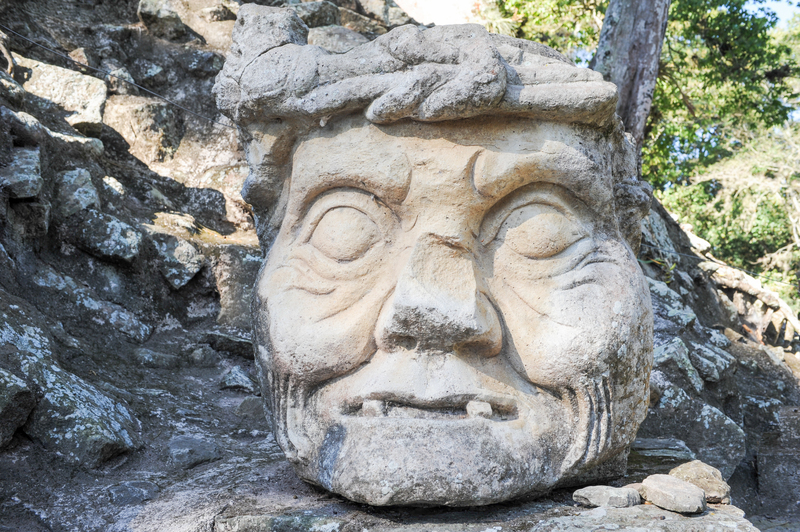 Although the Copán Ruins are only a 1km walk outside of Copán, have a gift shop, visitor centre and sculpture museum, very few people actually visit this UNESCO World Heritage site, so you can walk among the haunting structures virtually alone. Anyone with an interest in history, archeology, or just a lust to know more about a country you’re visiting, should take a trip to the Copán Ruins. The stunning Lago de Yojoa is the largest lake in Honduras, and its surroundings will leave you breathless. This spectacular lake is quickly becoming the most popular place for weary travellers to rest when traveling in the region. While the lake itself isn’t great for swimming, you can Zipline over it, tube across it, or take a scenic walk around it. With over 485 species of bird, lush jungle, world-class hiking trails and waterfalls galore, this is one of the best places to ‘get back to nature’ in all of Honduras. If you’re visiting Honduras during the Easter break, then this is one of the most culturally unusual and stunning traditions you absolutely must see. Honduras is the only country in the world to create these magnificent carpets, and they really do it in style. In the quiet village of Comayagua, the locals rush out to the street, and create these vibrant, multicoloured carpets out of rice, sawdust, flower petals, and other natural materials. They are made to depict the actions and life of Jesus, but even the non religious visitors will be blown away by their beauty. This 350,000 hectares UNESCO reserve is the largest protected area in the entire country. The Río Plátano Biosphere Reserve is one of the only tropical rainforests left in Central America, and is home to over 2,000 indigenous people. If you’re searching for a place to see an outstanding array of wildlife, then this is it. Río Plátano is home to 411 documented species of bird, 586 species of plant, 721 species of vertebrates, and half of all the mammals in Honduras. 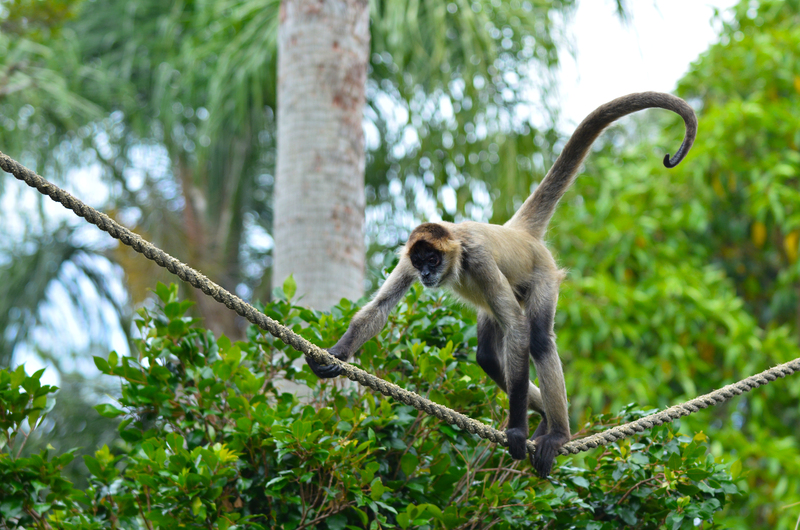 During a trek through this amazing reserve, you can see the critically endangered Mexican Spider Monkey, the West Indian Manatee, the endangered Great Green Macaw, and the near-threatened Jaguar. Honduras has a rather tropical weather system, just without that pesky humidity. The rainy season tends to hit the coastal areas from October through to February, but inland, the weather stays mostly dry. Summer comes around from March to April, where you will find the whole country is extremely hot and dry, with temperatures soaring to 35°C. The Bay Islands have a more Caribbean climate than the rest of the country, and the best time to visit is from March to September. During this time, the temperatures are cooler, and there are very few rainy days. If you are looking to visit Honduras for the Whale Shark season, then visit during June to September, this is when the magnificent animals are most abundant. Honduran cuisine is a marvellous mix of indigenous, Lenca flavours, Spanish flare, Caribbean spice and African influences. Coconut and coconut milk is used in almost everything, from savoury meat dishes, to sweet pastries and cakes. Regional specialties include fried fish with pickled onions and jalepiños, hot tamales, meat roasted with Chismol, carne asada, and the most famous dish, baleadas. Baleadas are an extra thick corn tortilla, filled with fried beans, crumbled cheese and crema. The Hondurans are also crazy about their soups. They eat them in winter to warm up, and in summer to regulate body temperature and cool down. Some of the most popular soups are; mondongo soup, made with tripe, searing seafood soup, beef soup and bean soup. All of which are made from scratch, in the true Honduran way. Although Honduras is cheap compared to most places in Central America, the country has become savvy to the world of tourism. Many of the restaurants and bars in the popular areas have raised their prices to a surprising high, but the smaller restaurants keep their prices low for the locals. It’s a cultural offence to pass something to someone by throwing it. Honduran people are very tactile, and always pass items from hand to hand. They see the gesture of throwing something as an insult, as they reserve this act only for the dogs in the street. Using large bills, such as 100 or 500 Lempiras in smaller shops is extremely rude to the owner, as you are asking him to have change that’s equivalent to his weekly wage on hand. Be sure to carry small bills when shopping in very rural or local areas to avoid this. Are you already excited to visit all of the highlights of Honduras? Chimu Adventures offers tours to Central America as well as tailor-made packages according to all your wishes.